For Cohen’s first birthday I made the easiest gluten free cake out of oat flour. I’m shocked with how good it tasted. Oat flour is my favorite go to gluten free flour because it’s pretty healthy and easy to make quickly in my blender. I’m always double or tripling recipes (muffins, usually) so I make it in large batches dumping it into my vitamix and blitzing the oats until it’s flour. The cake looks dense in the pictures, but the texture was like a scone. We’re pretty low key around here when it comes to buying gifts. For now I’m planning on DIY a cardboard playhouse for Liv and wrapping up some fun books and art supplies. I’m not doing very much for Cohen (he’s only 1 year old), but I do have a few little things in mind! Here are a dozen gift ideas I think would be great for little kids. I like to buy toys that both kids will enjoy and that we might be able to ALL enjoy as a family. My kids are 1 and almost 3 years old. Pretty sweet that we can buy so much off Amazon these days! Quick easy shipping is the best. 1) My First Chess Set, from the MOMA museum store. We’d like to teach Liv chess this year using the story approach. I think the philosophy and approach of ChessAtThree is awesome! 3) Any of the Little People Big Dream board books, to teach them about so many incredible thinkers, writers, artists, scientists: Marie Curie, Agatha Christie, Harriet Tubman, Maya Angelou, Frida Kahlo, Coco Chanel, Amelia Earhart, Mother Teresa…gorgeous illustrations as well! 6) Rainbow Scratch Art, no clean up art projects are the best. I’ve already bought this! 8) Unicorn & Rainbow stamp kit, a sweet start to a little stamp collection. Liv is obsessed with stamps. 9) Crayola Ultra-Clean Washable Broad Line Markers, 40 Classic Crayola Colors , woo hoo-these are ULTRA clean washable markers (a must, we have a white couch and babies). Also, I think this set would be an awesome birthday gift for any kid/any age. 11) Kaleidoscope, perfect stocking stuffer! Beautiful patterns and colors that always change. 12) Wooden Skyscraper City Blocks, I love this set..I’m planning on using a sharpie and making my own city blocks using the wooden blocks we already have. something along these lines. seems like a quick fun project! Love these ones, too! 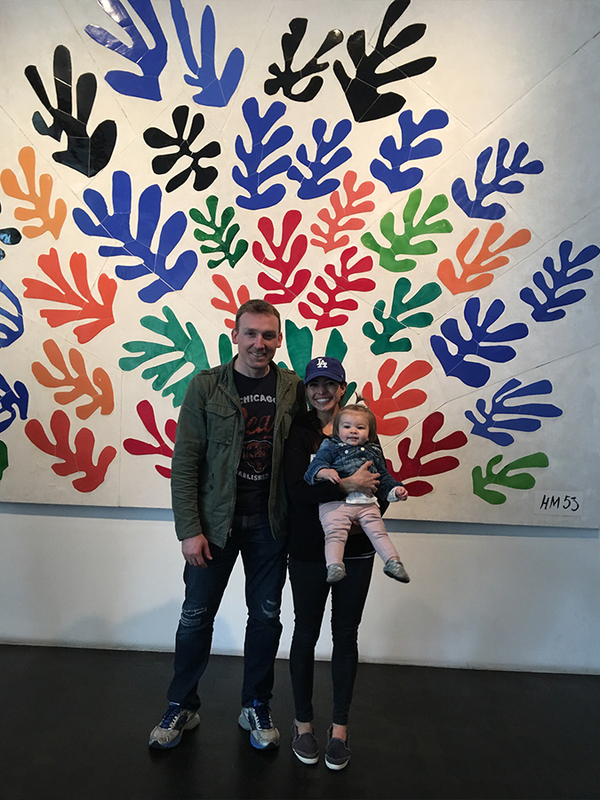 Exploring the galleries with baby Liv at the LACMA way back when in 2016. Such good memories. She was so tiny!! The LACMA has such an incredible collection.